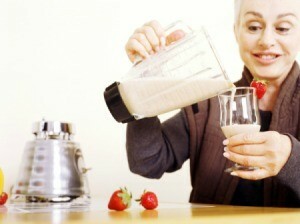 When making a nutritional shake, you want to make sure it contains the essential nutrients. This guide is about homemade Ensure substitute recipes. I have had a smoothie made with cooked sweet potato, banana, a touch of peanut butter, a bit of molasses, plus a bit of honey, some cinnamon and nutmeg, mixed with milk and, to make it a little like ice cream, some ice. Mmm! It was very good, kind of like sweet potato pie. I am sure it was very nutritious. I'm also sure it had a lot of calories, lol. Help! Need this recipe in clear version like ensure clear.